As you can recall, the Malaysian Communications and Multimedia Commission (MCMC) earlier this has recently revealed that it has issued RM 1.2 million worth of compounds to four telcos for not meeting the standard of dropped calls rate in Q3 2013. Among them was Maxis who not only received a total of 9 compounds that is equivalent to RM 360,000; one of its sites was also listed as the worst in the list. Not enough with that, MCMC also stated that Maxis dropped calls rate has increased twofold according to the body’s Q1 2014 test results. 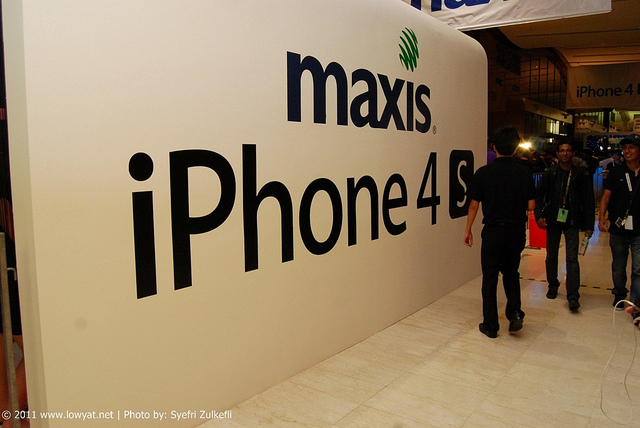 Maxis has since then responded to MCMC’s report with an official statement. We place a lot of emphasis on network investment to ensure that we continuously give our customers the best experience. We are confident that Maxis is at level with good international standards. We are also accelerating our network modernisation, performing system capacity expansion and enhancing network quality to serve our customers better. To continuously improve our services, we build more sites, conduct engineering upgrades and site optimisation to improve network coverage, capacity and quality. We also carry out regular drive surveys and perform periodic independent benchmarking on roads nationwide to gauge the network performance. When services are interrupted due to equipment theft, faulty equipment or power failure, our teams are immediately deployed to quickly restore services. To minimise theft, we continuously strengthen site security and work closely with the police to prevent such incidents. To address issues related to devices, we provide useful information for customers on device settings through various channels. We also conduct thorough tests on the devices that we introduce into the market to ensure network compatibility. As you can see above, Maxis stands firm by it network capability despite the recent report by MCMC. The telco has also generally detailed its on-going efforts to improve and sustain the network’s quality. That being said, Maxis didn’t mention any statistics in the statement above to show the level of improvements that has been made to its network although we do know from its recent financial report that the telco has invested RM 118 million in capital expenditure for network modernisation in Q1 2014. Just like I said in the previous article, it is indeed good to see MCMC flexing its muscles for the benefits of consumers. This periodic network test is certainly one such example since it seems like telcos are now starting to take the report very seriously although many (including our esteemed readers here) feel that the value of compounds that MCMC has served to local telcos are still too small as compared to the revenues that these telcos made every year. All in all, let’s see how Maxis (and other telcos as well) MCMC’s next round of network test.